I am a parrot head, my mother is the woman to blame in that situation, but I grew up listening to and loving mister Buffett. However this morning as I very grumpily rolled out of bed, I realized ole Jimmy fails to make the distinction that the only good 5 o'clock is the PM one. This morning I had the privilege of getting up at the un godly hour of 5 am, in preparation for the Grand National. At my barn, my western saddle is more out of place than a Coors can at the Opera; so when I asked my coach if I could practice running the flag, she graciously allowed me to step out of our hunter box. The only catch, was that I had to do it before our barn started operating, which meant being there at 0 dark thirty! After taking 15 minutes to find my phone with the alarm blaring (I'd knocked it under the bed) and another 15 fumbling with my clothes I was off to the barn. Oddly enough when I arrived I was not grumpy/ready to eat someone (which is my usual AM pre espresso attitude) blame it on the ponies I guess. 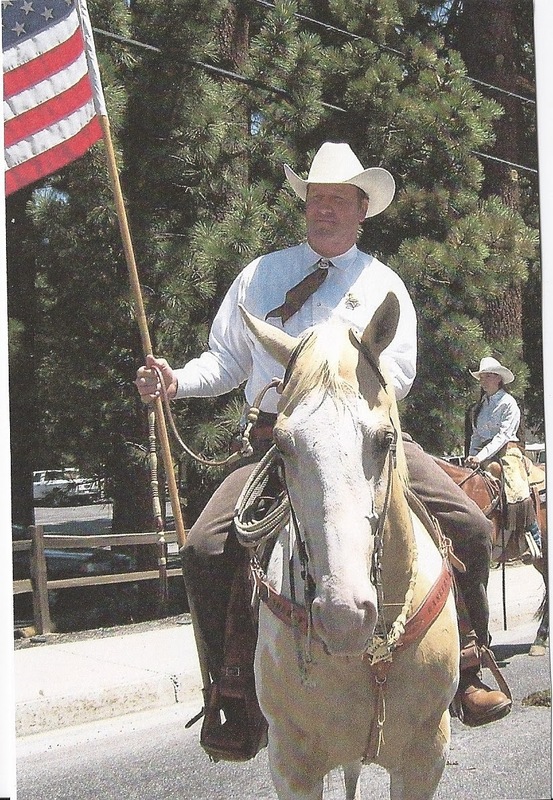 After getting all situated Parker (yet another of my trusty mounts, did I mention I have ALOT of horses) and I ventured out with the flag. After a few fail moments, thank god no one was watching, I got back into the grove of sitting tall and pretty with a giant flappy flag. It's been a while since I have played rodeo princess, anddd he was pretty fresh, so I played it safe for a bit. Finally I decided it was now or never, I pushed him out, and my trusty boy delivered. We completed several beautiful runs, including very flawlessly slowing and speeding up. After I was pretty sure I wasn't going to make a giant fool of myself I gave him a good pat and decided I should probably get ready for work. Of course walking back to the barn there was a motorcycle and a bull dozer and mister scared of nothing jumped out of his skin. Butttt they're not perfect all the time! I am getting more and more excited AND nervous as the competition gets closer, but I figure as long as I don't fall off it can't be that embarrassing. Soooo knock on wood I don't fall off! Here's Parker and Dad carrying a flag. 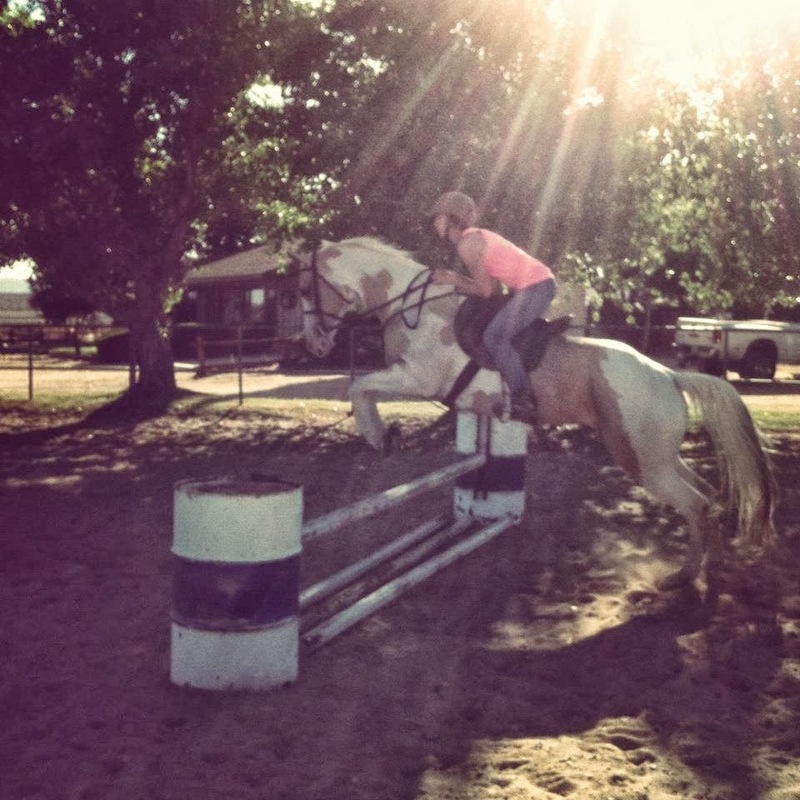 annddd he and I jumping, he's kinda a wonder horse!